After passing the bar exam, Alan began the practice of law on the defense side, serving as a staff counsel trial attorney for Geico Insurance Company. He tried hundreds of cases at the District and Circuit Court levels in most of the jurisdictions in Maryland. In addition, he represented the company in administrative hearings at the Office of Administrative Hearings, and consulted and assisted the Special Investigative Unit in fraud investigations. 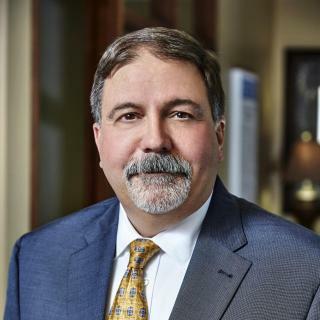 Alan then served as a surety claims attorney for the St. Paul Fire and Marine Company, handling multi-million dollar construction bond claims throughout the Southeast. Leaving defense, Alan formed a small private firm concentrating in the representation of injured parties, putting his experience of defending against claims to the benefit of people injured by the negligence of others. He and his partner successfully litigated large and complicated personal injury cases arising out of premises and product liability. Since closing the firm, Alan has joined Miller & Zois where he actively works pre-litigation and litigation cases. A resident of Old Catonsville, Alan and his wife, a school administrator, travel internationally when he is not pursuing his avocation of training and raising dogs. His interests include gun and watch collecting, and motorcycles. He is a graduate of a nationally-known program of the law of self-defense and lectures on that subject.